Just one night… All we got! 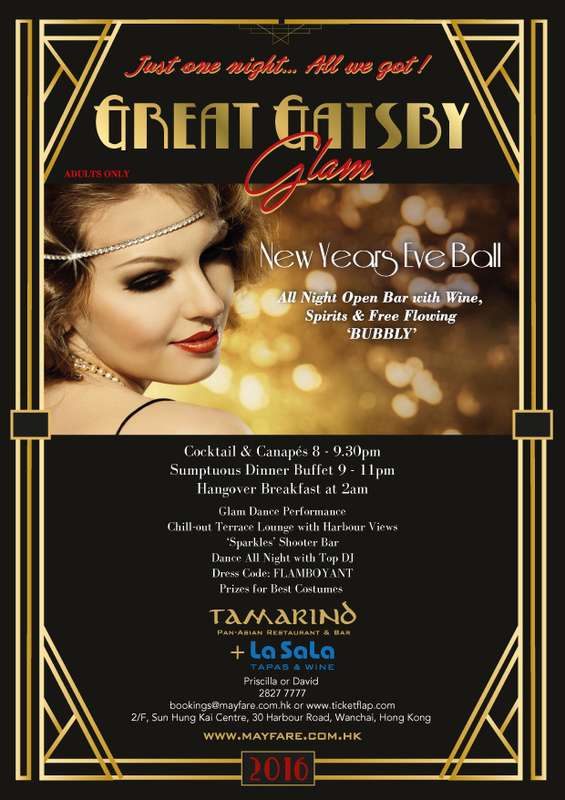 Step into 1920’s glamor and welcome 2017 with a night of Great Gatsby Glam at Namo & Tamarind Restaurants in Wanchai. 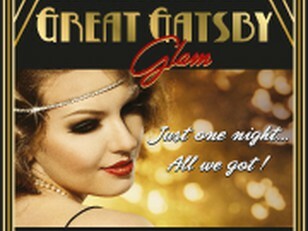 Dress up in your most flamboyant 1920’s outfits, mingle with your friends at pre-dinner cocktail and canapés, savour a sumptuous buffet dinner with all-night open bar with premium wine, beer, spirits and free flowing BUBBLY. Chill out at “Sparkles” shooters bar with your friends and dance all night with Top DJ's latest hits. Fun and frolic continues after mid-night countdown and "Hangover Breakfast" is served at 2am. Reserve your tickets and ring in 2017 at the best party in town!